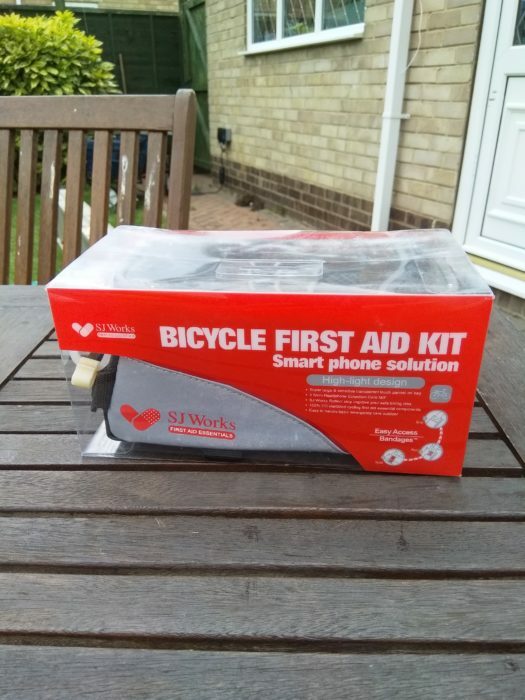 SJ Works have kindly sent me a Smart Phone First Aid Kit for my bicycle to try out. 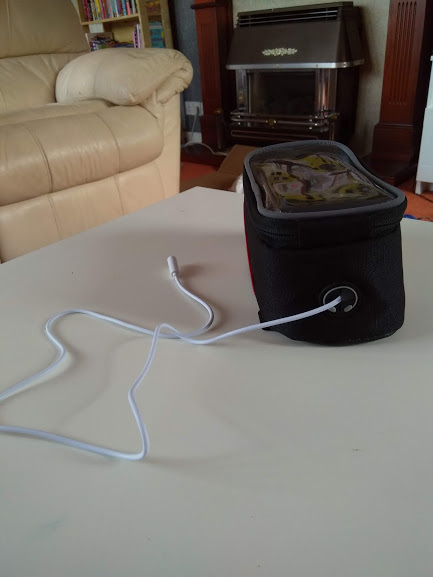 It’s a first aid kit which attaches to my bike and also has a pouch for my phone. It’s a good addition to our cycling kit. 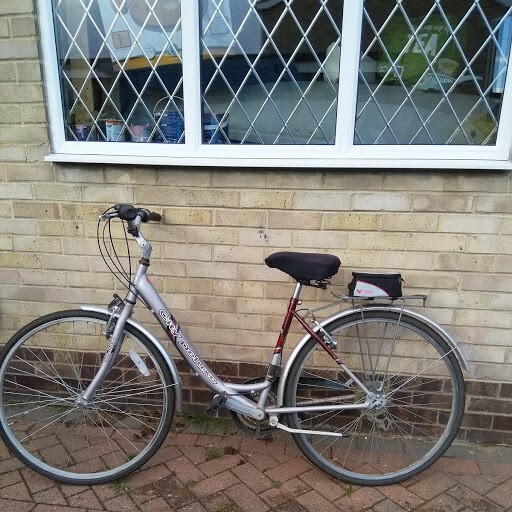 Luckily, we’ve not needed it so far this year, but I look forward to getting out and about on my bike in the new year where hopefully, I won’t need it either. But better safe than sorry! There are three types of first aid kits available. 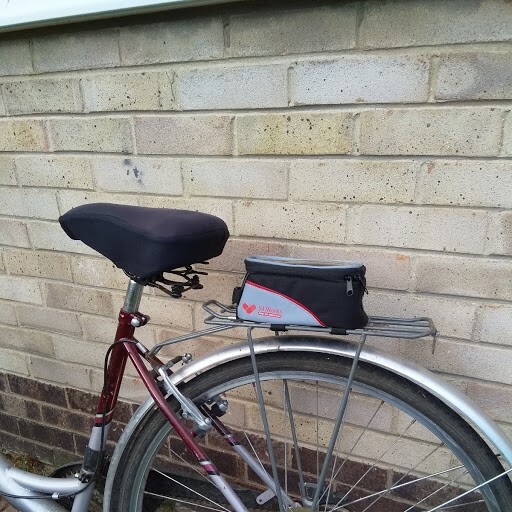 I chose this one because it can carry my phone and also because I have a rack on my bike and this kit suited the style, and this one has a pouch for my phone. Other kits are available which fit on the crossbar, which I don’t have. This is how I attached it to my bike. It attaches using velcro straps so doesn’t need any skill or special tools to fit it. 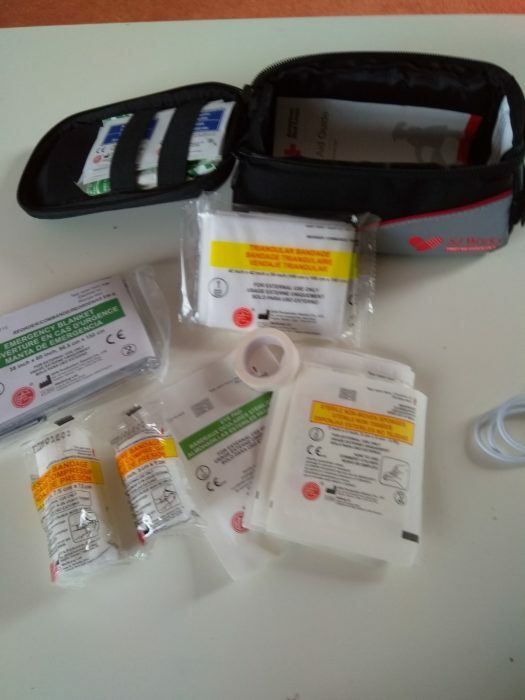 The kit contains first aid essentials such as bandages, wipes, and tape. These all come complete in the kit when you buy it. You can put a smartphone in the clear pouch up top. There is a slot on the inside of the pouch. The only issue I found was that this pouch isn’t suitable for all types of phone. For example, my Nokia 5 is too big (it is a reasonably large phone to be fair), but the tween’s Nokia 3 fit it perfectly. I also had trouble using the fingerprint recognition to kick the phone into action. The touch-screen operation wasn’t an issue though. 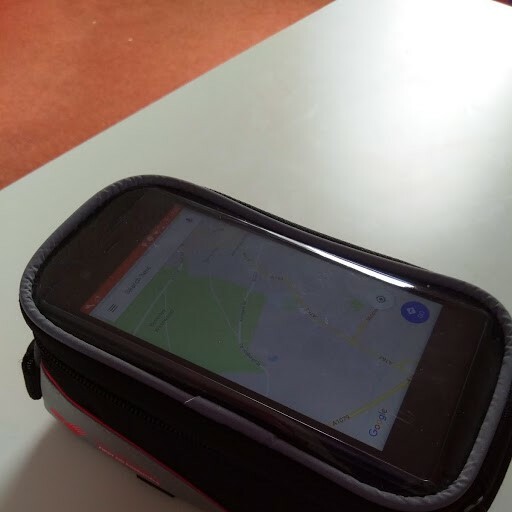 I can see this coming in handy on a long bike ride, perhaps for navigation. If you want to listen to music en route, there is a hole in the kit and an earphone lead supplied so you can hook up your headset. I wouldn’t do this for music when on the road but this could be nice on an off-road track – I don’t think I’ve ever cycled to music before! If you’re a keen cyclist and like getting out and about with more inexperienced cyclists, a first aid kit is a must-have. 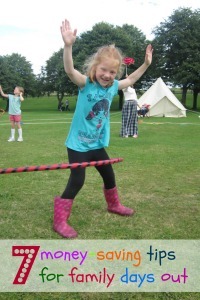 We will certainly be using it next year on our longer bike rides with the children. 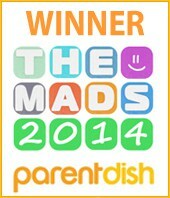 Disclosure – we were sent a free smart phone first aid kit to try in exchange for this review. All opinion is our own. Link to Amazon is affiliate. If you buy one, I get a small fee as a thank you. This does not affect the price you pay.